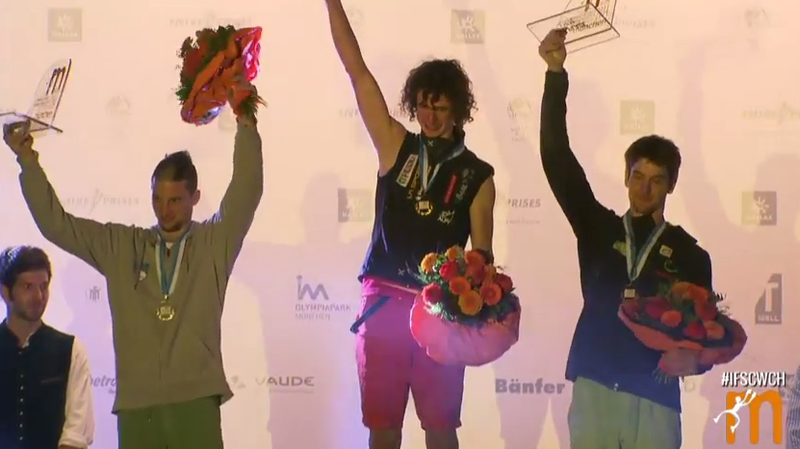 For the men it was Adam Ondra adding another incredible achievement to his already unmatched resume. He was the only male climber to finish all four finals problems which was needed as both Jernej Kruder and Jan Hojer were close on his heels. 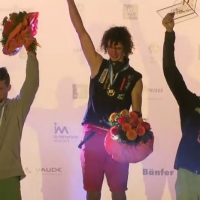 If you’re keeping track at home, Ondra has now won the Bouldering World Championships and the most recent Lead World Cup event in Imst in the span of three weeks. I think this kid might be good at rock climbing. For the women it was an intense back-and-forth battle between Germany’s Juliane Wurm and American Alex Puccio. Puccio was coming off perhaps the best stretch of outdoor climbing a woman has ever had, while Wurm had just completed a solid 4th place finish on the overall Bouldering World Cup Circuit. In the end it was Wurm who narrowly edged Puccio, sending the final problem in few enough attempts to take gold. Post by The Circuit World Cup and Performance Climbing Magazine.